Collectors and antiques lovers have a wide choice of flea markets to explore this winter. Kovels.com lists 6 favorites that are worth a trip. From one-of-a-kind vintage clothing to rare antiques and quirky collectibles, all are overflowing with treasures waiting to be found. Why should shopping for great antique and collectible bargains, chatting up dealers and munching on local snacks be limited to summer and fall months? Here are 6 favorite winter flea markets that are worth a trip. Each is renowned for its scale, variety of items, negotiable prices and popularity among both locals and tourists. Best of all, they are opportunities to have fun, learn something new and knock some items off the holiday gift list. The weekly indoor and outdoor flea market and antiques center in Mount Dora, Florida, has more than 500 booths. But three times a year, it hosts a larger “extravaganza” with nearly 800 vendors from all over the country. They set up shop on the show field, under pavilions and in the antiques center. The show runs, rain or shine and claims to be “crazy big.” For visitors who want to stay around, the city of Mount Dora is decorated with 2 million lights that are switched on Saturday, November 28, and many holiday events follow. This gathering on the second Sunday of every month is considered to be one of the best on the West Coast. It attracts as many as 2,500 vendors and 20,000 shoppers. Find clothes, shoes, jewelry, sunglasses, ceramics, glass, furniture, pictures, crafts, keepsakes, art, fabric, bikes, costumes, music — every imaginable type of merchandise. It’s open rain or shine. There’s no admission after 3 p.m., plenty of free parking, lots of food from cheeseburgers to sushi, and even celebrity sightings. Adding to a collection? Searching for vintage clothing? Furnishing or decorating a house? With more than 800 sellers, chances are anything antique, collectible and vintage can be found at the Long Beach Antiques Flea Market. There’s food and free parking, too. Scott’s advertises itself “America’s favorite treasure hunt.” It’s one of America’s largest antiques shows, with over 2,000 booths both outdoors and in two buildings with a shuttle that runs back and forth. 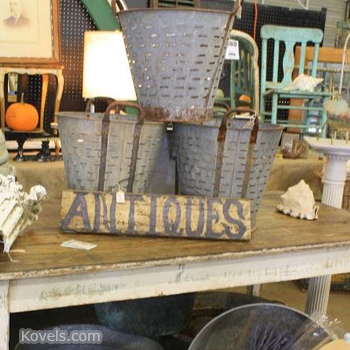 Browse through furniture, rugs, architectural elements, silver, copper, jewelry, pottery, glass, paper, and housewares for hard-to-find antiques and plenty of bargains. Vintage, antique and global goods are available here, providing a mix of merchandise for all price ranges, from thrifty to extravagant. From embroidered hankies and estate jewelry to vintage and indie fashion, art and housewares, it’s one-stop shopping for memorable holiday gifts. Every other Sunday, Lincoln Road Mall turns into an antiques and collectibles market that attracts all kinds of sellers, from yard sale peddlers to savvy dealers. Find a huge selection of quality items and bargain prices, especially midcentury modern furniture, clothing and jewelry. A fun treasure hunt and a great walk! The flea market on the NC state fairgrounds in Raleigh, NC is open year round except for the month of October. It has a little bit of everything -antiques, collectibles, clothes, household items, and food. Be sure to check out the "yard sale " section as well as the antiques! Fun, huge, rain or shine, different fields open on different days, plan way ahead - it's always packed and could be hard to find a hotel. You don't have to go where it's warm!